A little sleepy sweet cat, a cute puppy or a lovely octopus and a happy chick with his little nest perfect for mini succulent and little air plants and why not to hide something precious like your love. In the last picture you see the nice box you will receive with your Animal Planter. 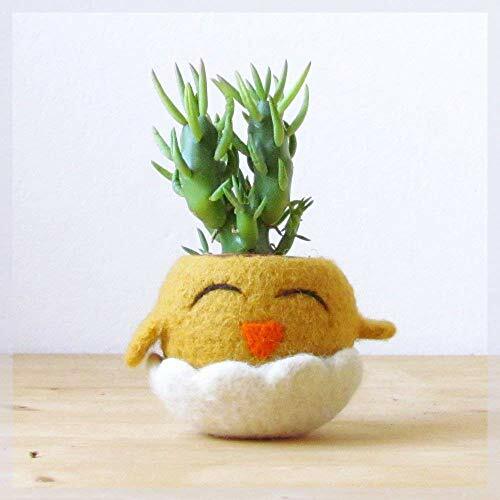 Easter Chick planter / Succulent planter / Felt succulent pot / cactus vase / Animal planter / gift for her - Choose your color!